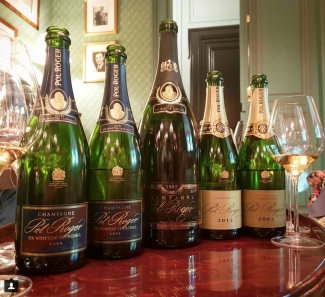 Peter Crawford, Champagne fanatic and founder of the website à la volée, recently tasted a bottle of Pol Roger Sir Winston Churchill 2008 at the house in Épernay, leading us to believe its release may well be imminent. Crawford gave us permission to share his tasting note, published on the Instagram account @alavolee, which more than whets the appetite for this promising champagne. During his visit to the house, Crawford also tasted a magnum of Pol Roger Sir Winston Churchill 1988, no doubt in preparation for his upcoming 1988 Vertical Tasting. Across the 12th and 13th October, Crawford will be hosting a three-part tasting extravaganza at the luxury hotels L’Assiette Champenoise and Domaine Les Crayères, during which guests will taste more than 70 champagnes from the stunning 1988 vintage. The Finest Bubble will be attending and our review will be published here soon after.